When J.B.’s son Steve broke the news to me this afternoon, it almost took my breath away. Yes, we all know J.B.’s heath was failing, but I don’t think anyone expected his death so soon. J.B. Elliott was born April 17, 1932, about one month after a generational tornado outbreak that killed hundreds of Alabamians on March 21 of that year. He would live through, and work two of those events in his long career; April 3, 1974, and April 27, 2011. I could not ask for a better role model in the field of meteorology, living out the Christian faith, or being a husband and father. J.B. is a 32-year veteran of the National Weather Service. (It was known as the U.S. Weather Bureau when he signed on in the spring of 1957.) 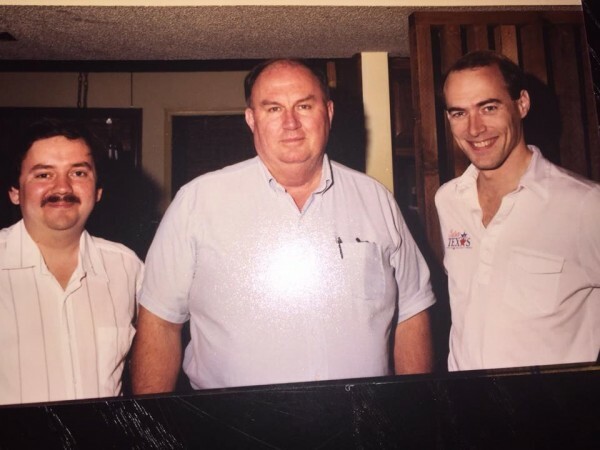 Ironically, at the moment he arrived at the office at Birmingham Airport for the very first day on duty, a tornado was on the ground in Walker County causing several fatalities. 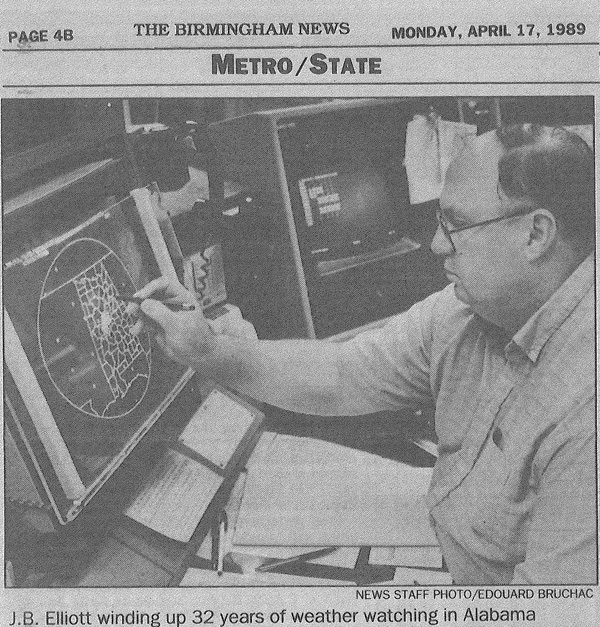 J.B. spent his entire NWS career in the Birmingham office and witnessed numerous major Alabama weather events. He always was especially interested in severe weather and spent many long hours on duty during adverse weather, including tornadoes, hurricanes, snow events and ice storms. 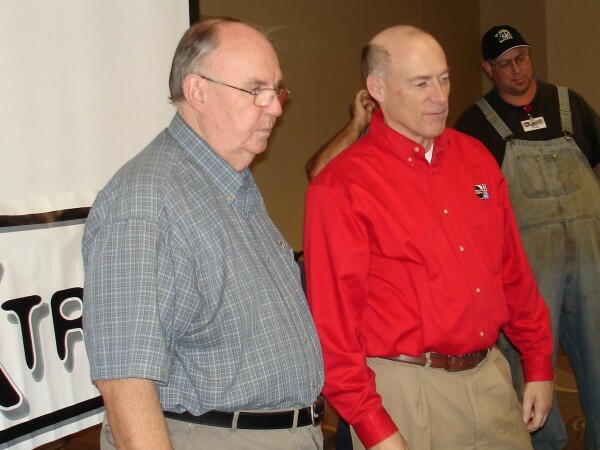 He worked for 17 hours in a row without a break during the famous tornado Super Outbreak of April 3, 4, 1974. He was also on duty as part of a team when a powerful F5 tornado ripped across the western section of Birmingham in April, 1977. It was known as the Smithfield tornado. During all his years in severe weather work, he was awarded not only a U.S. Department of Commerce Bronze Medal but also the Silver Medal. When growing up in West Alabama’s Hale County (Havana Junction!) he always wanted to be a weatherman, newspaper reporter, radio broadcaster or photographer. His career in meteorology has included all of that. He was one of the persons that handled the NOAA Weather Radio broadcasts from the Weather Service. He was responsible for thousands of weather stories, warnings and special feature items over the years. As a kid, he built a small radio “studio” in the corner of his bedroom and practiced doing newscasts, and of course weather, with a wooden “microphone.” His main source of news was a day-old Birmingham Age-Herald, The Tuscaloosa News, The Greensboro Watchman and jotting down items he heard on WJRD Radio, Tuscaloosa. He also printed a two page weekly newspaper, “Hometown News” by hand and mailed a copy to relatives in Worcester, Massachusetts and charged them five cents. It cost three cents to mail it!. Of course weather was often the main headline. He ordered a $4 plastic rain gauge from a catalog. His parents bought him a 29-cent thermometer and a 5-cent notebook. He started keeping weather records and was hooked. At Akron High School, one of his teachers, W.W. Duncan, was very interested in weather. He encouraged J.B. to follow that and gave him an assignment to brief the science class once a week on all of the new developments in weather. During his NWS career, J.B. was very active in photography and the duty of photographing storm damage sort of defaulted to him. In fact, for several years it was his responsibility to do storm surveys and determine the “F” rating of a tornado, path length, width, fatalities and injuries for the official NWS publication, Storm Data. The Super Outbreak in 1974 was an enormous task. I met J.B. in the 1970s when I was an electrical engineering student, but with a true passion for weather. We bonded instantly, and during my early days as a television weather anchor in Birmingham at Channel 13, we spent much time together, especially during my break between the 6:00 and 10:00 newscast, and when he was also on the “night shift”. He was a friend, mentor, and father figure to me. My dad walked away from my family when I was 7 years old, so he filled a very important role in my life. J.B. was always there with an encouraging word, and some weather knowledge for me to take away. It was that way when he worked for the National Weather Service, and when he worked for our private weather company after his retirement from government work, which came in 1989. For many years J.B. would ride with me to school visits across Alabama. I cherish the stories and laughter we enjoyed on the roads less traveled. 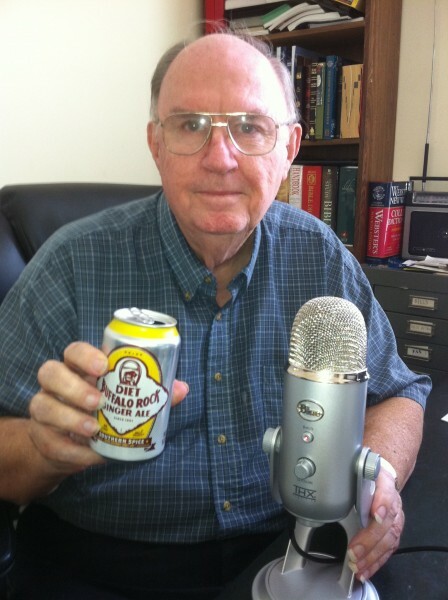 Many loved hearing J.B. on our weekly show “WeatherBrains”, and he had countless fans that loved reading his afternoon weather discussion here on the blog, along with the adventures of his beloved dog “Little Miss Molly”. J.B and his wife, Judy, were married for over 50 years. She grew up in Phoenix, Arizona, Ironically, she and J.B. met out at the Birmingham Airport when she and her “boy friend” visited the weather office. They have two grown children and six grandchildren. Son, Steve Elliott is a Birmingham and Center Point fireman. 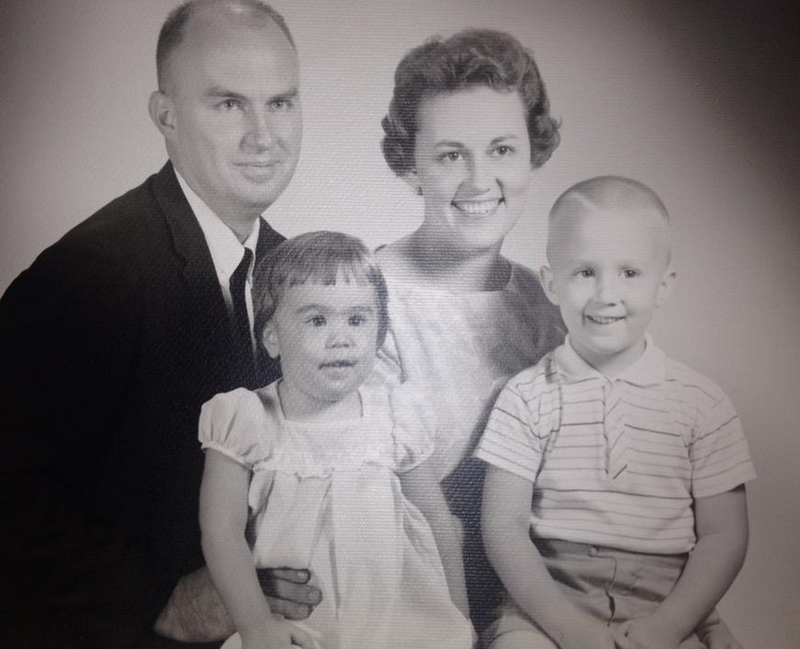 Daughter, Debbie Broome and her husband, Robert live in the Birmingham metro. Thank you, J.B., for being my friend, mentor, and encourager. You never had a bad day… and if you did, you never let us know. See you again one day.